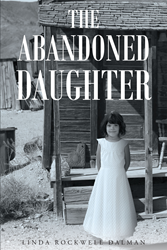 Recent release “The Abandoned Daughter” from Page Publishing author Linda Rockwell Dalman is the tale of the Marshall and Potter families, who had been feuding for generations. Though the original reason for the feud had been lost over the years, they always found new reasons to keep the fire of hate burning. Linda Rockwell Dalman, an avid story teller and devoted wife, mother, and grandmother, has completed her new book “The Abandoned Daughter”: a gripping tale about how one couple's choice, acted upon, not only affects their lives, but the lives of their children and those around them; especially the little girl that gets caught in the middle. Published by New York City-based Page Publishing, Linda Rockwell Dalman’s tale focuses on the Marshall and Potter families, who had been feuding for generations. Though the original reason for the feud had been lost over the years, they always found new reasons to keep the fire of hate burning. The elder Marshalls were devout Christians. They did their best to live Godly lives; yet they struggled daily with the hostility caused by generations of hate. They were examples of people who try to live a Christian life, but still fail. The Potters considered the Marshalls pious hypocrites. They were proud of the fact that they were not bound by some fake religion; they enjoyed life. The only thing the Potters took seriously was the feud. The clash escalated when Addie Potter married Clarence Marshall. Now the battle had no end in sight. So, when the couple took all of their children but one and left the state, forgiveness seemed forever out of the question. Readers who wish to experience this gripping work can purchase “The Abandoned Daughter” at bookstores everywhere, or online at the Apple iTunes store, Amazon, Google Play or Barnes and Noble.